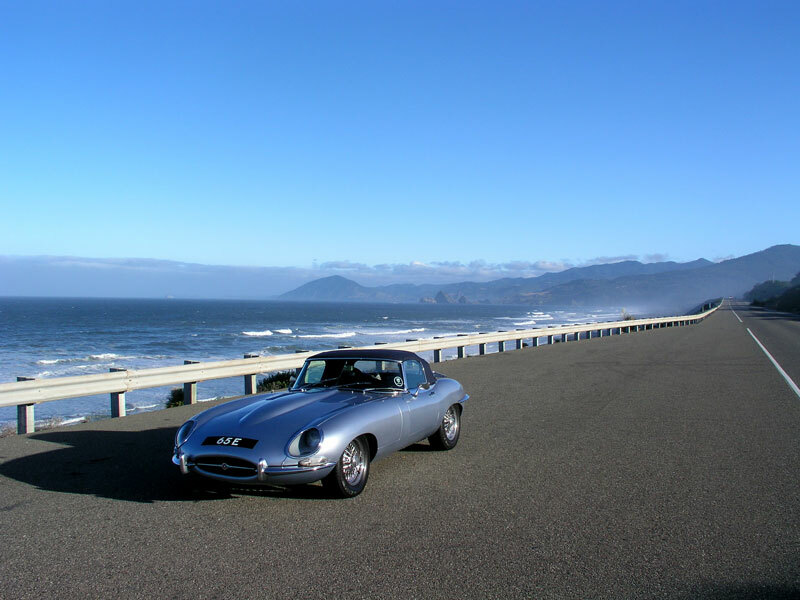 Note: I’m writing an 800 word “review” for a publication, with the subject being the E-type. Feel free to comment with suggestions, additions, etc. The sun breaks through trees and plays off the long bonnet. The soundtrack is the baritone exhaust note of the big-bore, long-stroke, inline-six as you loaf along the arrow-straight road. Ahead you spot that sign that makes every true driver shut down the internal dialog in their brain and focus on the here and now: Curves Ahead. Amazing what a yellow diamond with a S-shaped arrow does to lift ones spirit! The road dives down and to the left, as you blip the throttle and snap the solid shifter down from fourth into third. The big pipe organ that before only droned a single note is joined by a mechanical symphony as the revs rise and fall. 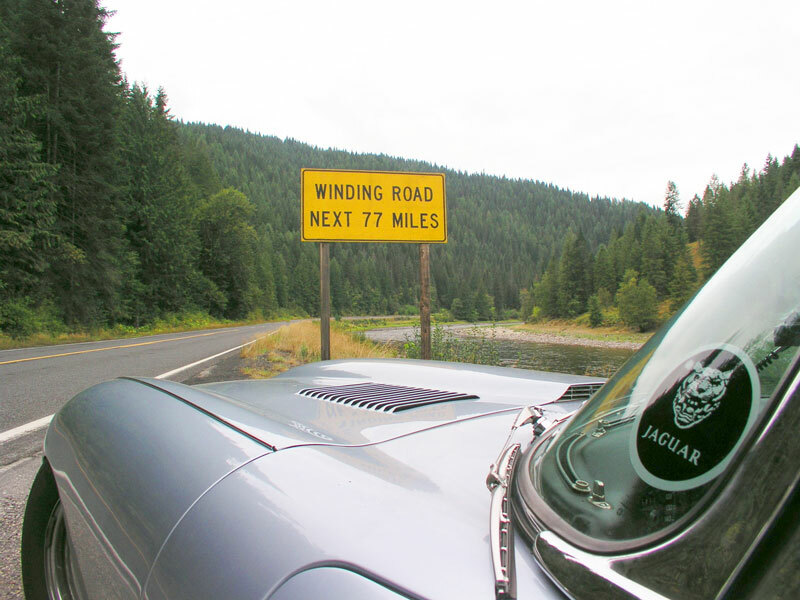 A distinctive whine from the intake, produced by three trumpeted big 2″ Skinner’s Union HD8 carburetors. The entire cylinder head produces a delicious rustle, as chain-driven dual overhead cams spin furiously at the insistence of your right foot. Underlying it all is the booming low notes of the exhaust, throbbing as if The Ox himself was laying down the bass track. The car handles corners with aplomb; you know it can do each of them at 2X the speed you’re taking them, without so much as a squeak of complaint from the tires. 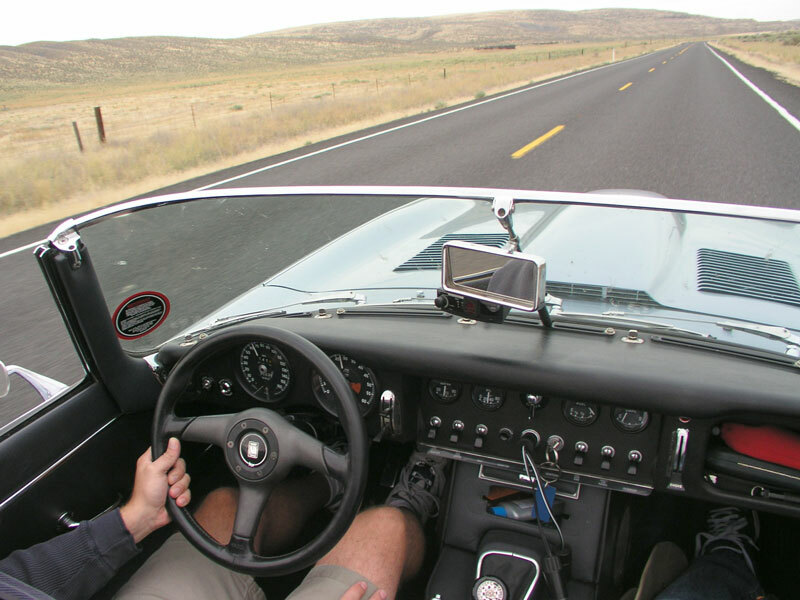 But the realization that you are driving a forty-four year old car holds you back. This car was built in a time when going fast and looking good were the priorities, not saving the planet, or even the occupant. The seat rises as high as your shoulder blades, and the seat belts will only serve to secure your body while the windscreen decapitates you in the blink of an eye. No air bags here, the only safety systems on board are your grey matter and the skill of your hands and feet. 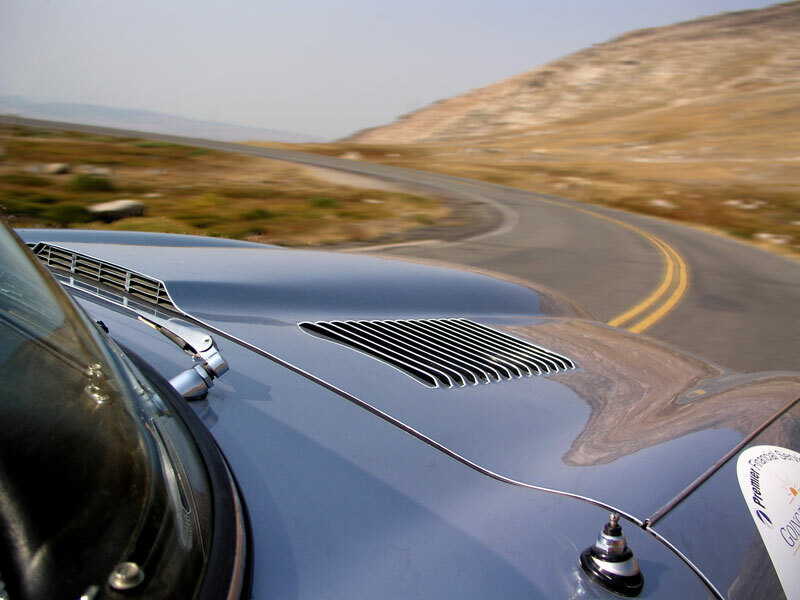 Even at velocities within the posted limits however, the car provides endless satisfaction. The entire experience is worth risks even Ralph Nader couldn’t even dream of. 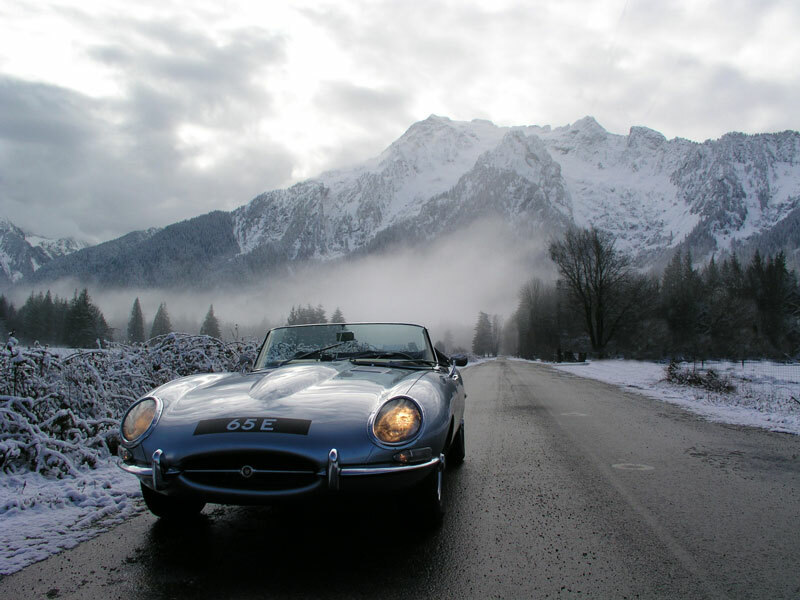 The E-type Jaguar arrived on the automotive scene in 1961 like a cruise missile vectoring into a stone-age village. It brought with it technologies extracted from the rarified world of endurance racing and delivered world-beating performance to the street for a shockingly reasonable price. Here was a machine, which for less than half the price, could outperform the likes of the contemporary Ferrari 410 SuperAmerica ($16,800), or a 250 GT Berlinetta SWB ($11,800). When new, the Jaguar sold for $5,595, and it drove the wheels off of Enzoâ€™s best. Il Commendatore himself labelled the E-type “The most beautiful car ever made” … while swiftly copying it in the form of the 250 GTO, and again with the 275&365 GTB/4s. 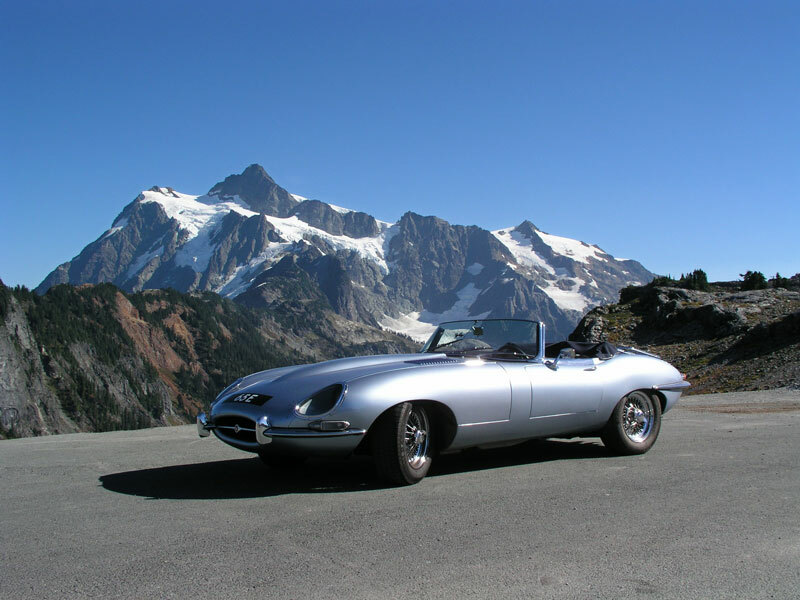 The E-type’s impact on arrival also prompted redesigns of other sports cars, notably here in America, Chevrolet’s Corvette; look at the radical difference between the C1 & C2. 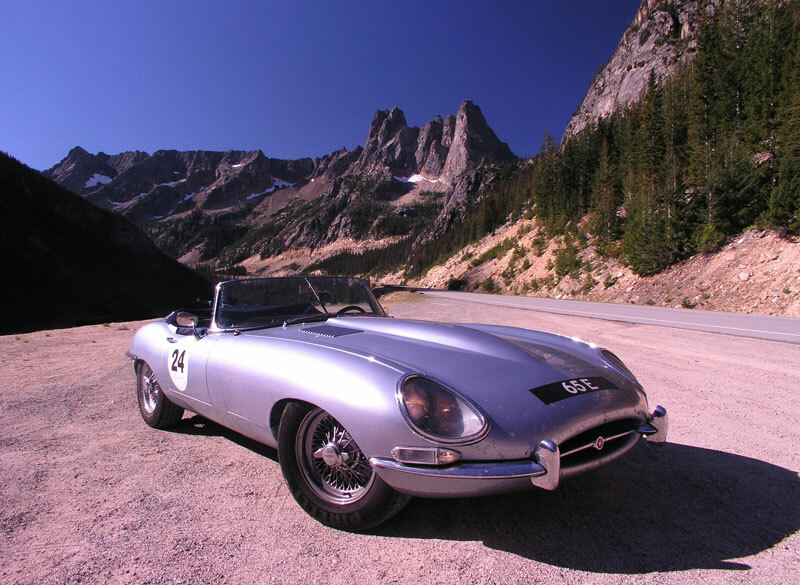 The E-type appeared in a few races, with two of the first stock units topping the podium in their initial outing at Oulton Park in their native England, but in the end they were not that successful at the big races of the era; Le Mans, Sebring, the NÃ¼rburgring, always finishing near, but never at the top of the podium. 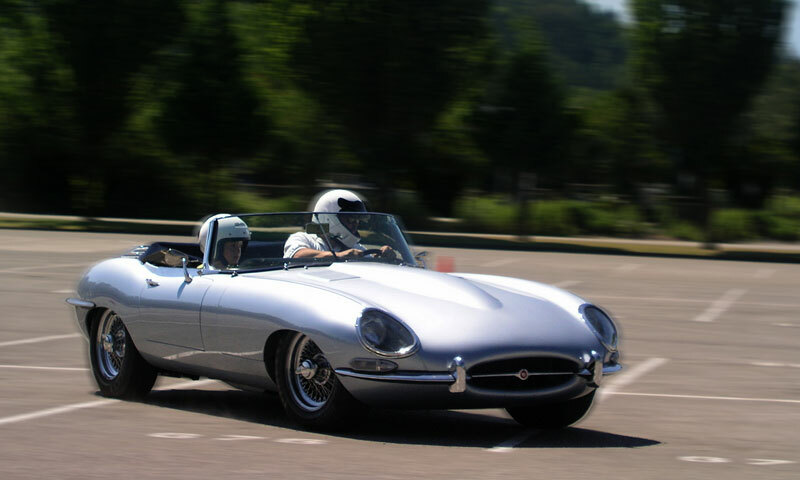 The E-type is a race car adapted for the street, not a purpose-built race car like it’s predecessors, the C-/D-type Jaguars. 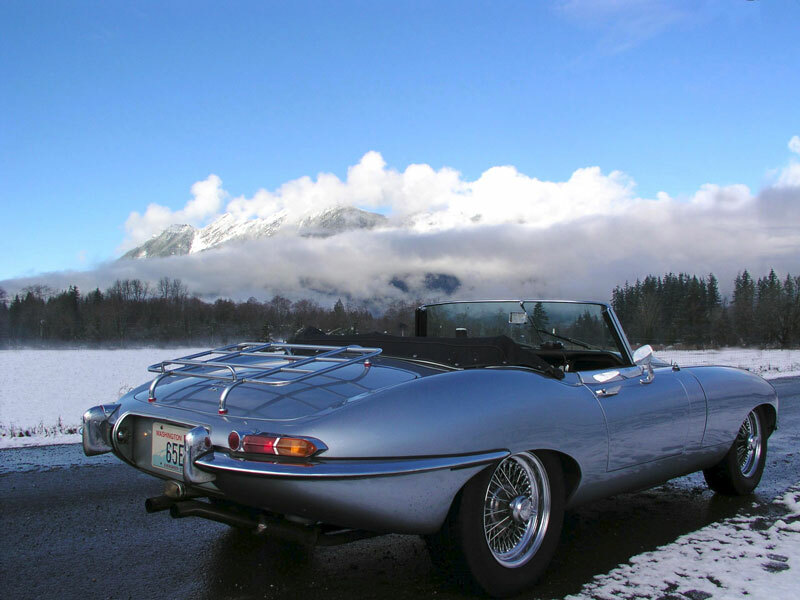 It has truly innovative-for-the-day technology which have become standard equipment across the automotive spectrum, but in the early 1960s they were truly leading-edge exotica, and here in the E-type Jaguar they were delivered in the form of reasonably-priced automotive erotica. So whatâ€™s it like to drive? Joyful! You canâ€™t help but smile when behind the wheel. Despite its long, low look, it is deceptively small, especially compared to most other cars on the road. It handles very smoothly thanks to even weight distribution fore and aft; the engine and gearbox sit back well behind the front axle so that weight, with a driver and fuel, is split 50/50. Steering is precise. Oversteer is delivered so smoothly and predictably that in a tight autocross course some steering load can be handled by the loud pedal. Diesel-like torque is available at any RPM, making 50-70+ acceleration and passing on two-lane roads something to seek out, and savor. Is it the fastest? 0-60? Skidpad numbers? Horsepower? 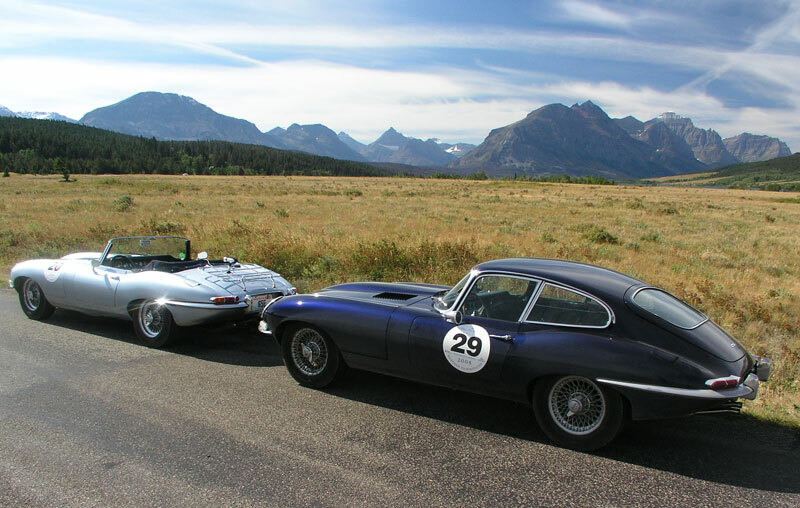 To be honest none of those really matters with an E-type Jaguar. You’re behind the wheel of a certifiable classic. It makes great noises. It is drop-dead gorgeous. You, and everybody else you see on the road smiles. great writing Chuck…. looks good to me other than typo above… and good photos!